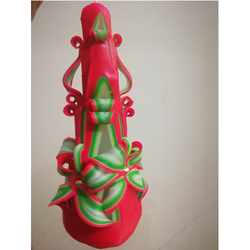 Prominent & Leading Manufacturer from Pune, we offer pyramid candles, hand carved pyramid candles, 8 inch pyramid designer carved candle, 4 inch blue swan neck carved candle and decorative pyramid candles. Burning Time (Hour) around 6-8 hours. 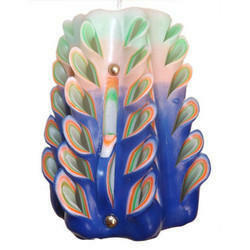 8" coloured Pyramid shape designer carved candle. Can also used in festivals like Diwali and Cristmas. 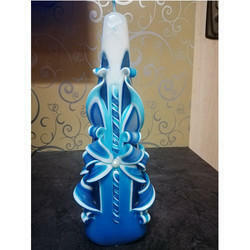 Owing to the efforts of our dedicated team of professionals, we have been constantly engaged in offering the best quality Blue Swan Neck Carved Candle.Available in multiple color combinations. This candle can be used for birthday celebration, candle light dinner, home decor, to gift any one. Can also used in festivals like Diwali and Cristmas.